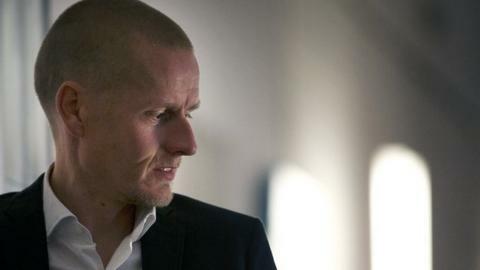 Danish cyclist Michael Rasmussen has admitted that he took performance-enhancing drugs between 1998 and 2010. Rasmussen has already served a two-year suspension for evading doping controls during the 2007 Tour de France. The 38-year-old was sacked by his Rabobank team and withdrawn from that year's Tour de France after lying about his whereabouts. A court ruled in 2007 that the Rabobank cycling team had to pay Michael Rasmussen €665,000 compensation for wrongful dismissal after they fired him during that year's Tour de France for lying about his whereabouts. A Utrecht judge ruled Rabobank had been entitled to dismiss Rasmussen from the team, but said that they followed the wrong procedure. "I am well aware that I have cheated, lied and deceived people and other athletes," he told a news conference. Rasmussen said that he took testosterone and growth hormones and underwent blood transfusions in an effort to boost his performance. "I have used doping substances and methods during the period 1998-2010, including EPO, growth hormone, testosterone, DHEA, insulin, IGF-1, cortisone and blood transfusions," he said. "I am now ready to make good and I'm ready to take my punishment." The Dane said that he intends to leave the sport with immediate effect and will co-operate with anti-doping agencies. "The specifics of exactly what I did and when have been given to the anti-doping authorities," he said. "My co-operation with them is based on confidentiality, which means that I cannot disclose further details at this time. That time may come later." Rasmussen's revelations follow Lance Armstrong's admission that he took performance-enhancing drugs during his seven Tour de France wins. Rasmussen won the Mountain Bike World Championships in 1999 before being given the chance to try out with a professional team for a few months at the end of the 2001 season with CSC-Tiscali. He joined the Rabobank team in 2003 and looked set to win the 2007 Tour de France when holding a substantial advantage over second-placed Alberto Contador with four stages to go. However, he was summarily sacked by Rabobank when he lied about his pre-race whereabouts, saying he was in Mexico when he was in fact in Italy. Rasmussen eventually returned to the sport in 2009 and competed for the Tecos Guadalajara team before moving to Miche in 2010. He had been with the Christina Watches Onfone team since 2011.